The most significant and limiting factor for the immediate advancement of miniaturized electronics is the availability of a battery that packs a punch and is still tiny in size. Many researchers agree that there is a general tradeoff when designing for battery capability — either you get a high-capacity, low-power battery, or, a high-power, low-capacity battery.A recent study by a group of scientists at the University of Illinois at Urbana-Champaign has finally resulted in the world’s most powerful micro-sized battery that promises to deliver the nano-sized, high-power, and high-capacity performance needs of future electronics. Ultracapacitors have generally been the way of choice for battery designs looking to deliver energy very quickly, but they are limited by how much they can store. Electronics that require sustained energy release, such as medical devices and implants, benefit from high-capacity batteries, but that energy is delivered very slowly. To do away with those internal flaws, professor Paul Bran and graduate students Xindi Yu and Huigang Zhang developed a three-dimensional nanostructure to replace the usual planar electrodes inside of batteries. The new miracle batteries are capable of charging and recharging up to 1,000 times faster than previous designs. 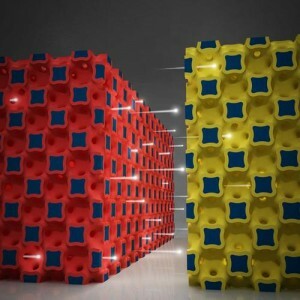 The batteries are created through a self-assembly process that uses lattices of tiny spheres surrounded by a liquid metal, which are then melted off to leave a sponge-like substrate. 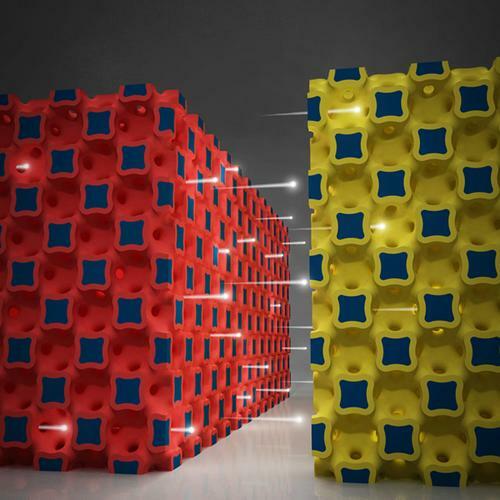 This 3D structure acts as a highly conductive (high power) bicontinuous electrode that still provides the necessary volume to store more energy (high capacity). By increasing the performance of microscopic batteries in this way, the group predicts that, for example, a radio sensor that is 30 times smaller will be able to deliver a signal 30 times farther than before. The incredible recharge time upgrade would even make way for charging super-thin cellphones in seconds and laptops in minutes while also dramatically improving electric vehicle recharge times and on-the-road performance. The team now has its sights set on applying the novel technology to consumer electronics while keeping manufacturing costs low. As with most recent news on enabling battery technologies, let’s hope this paradigmatic change on battery construction will begin to see commercial use sooner rather than later.